ATP Tour's tweet - "THAT is how you celebrate your 21st birthday! 🎂🎈🎉 @FTiafoe gives himself the gift of his first Grand Slam QF at the @AustralianOpen, ousting Dimitrov 7-5, 7-6, 6-7, 7-5. 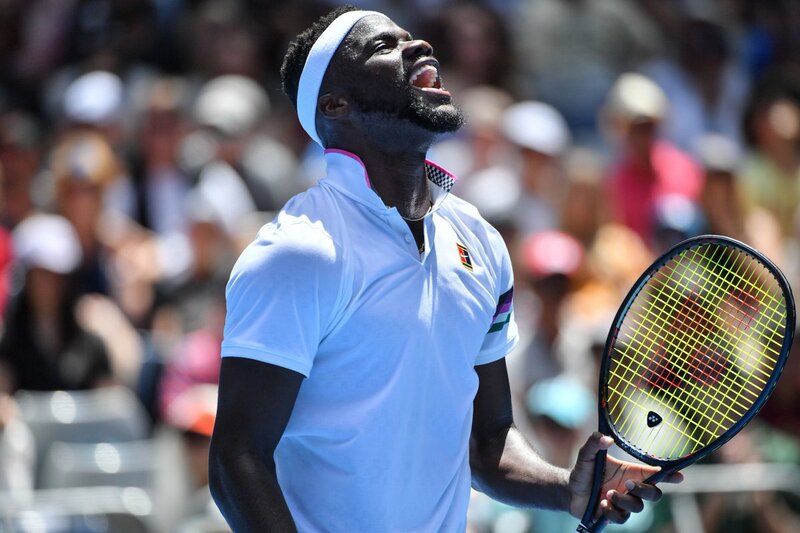 #AusOpen "
@FTiafoe gives himself the gift of his first Grand Slam QF at the @AustralianOpen, ousting Dimitrov 7-5, 7-6, 6-7, 7-5.